Don’t let UV rays and extreme heat degrade your vinyl dashboard and interior. And that goes double if you have leather seats; the damaging effect of solar radiation is two-fold: the UV radiation will attack the plastic and leather directly. Solar heating can raise the interior temperature of a parked vehicle to nearly 180°, hot enough to burn your hands on the metal seatbelt buckle or steering wheel. Needless to say, that kind of heat can’t be good for soft vinyl or leather. It will bake the volatile plasticizers and oils right out of them. They will turn hard, and eventually crack. 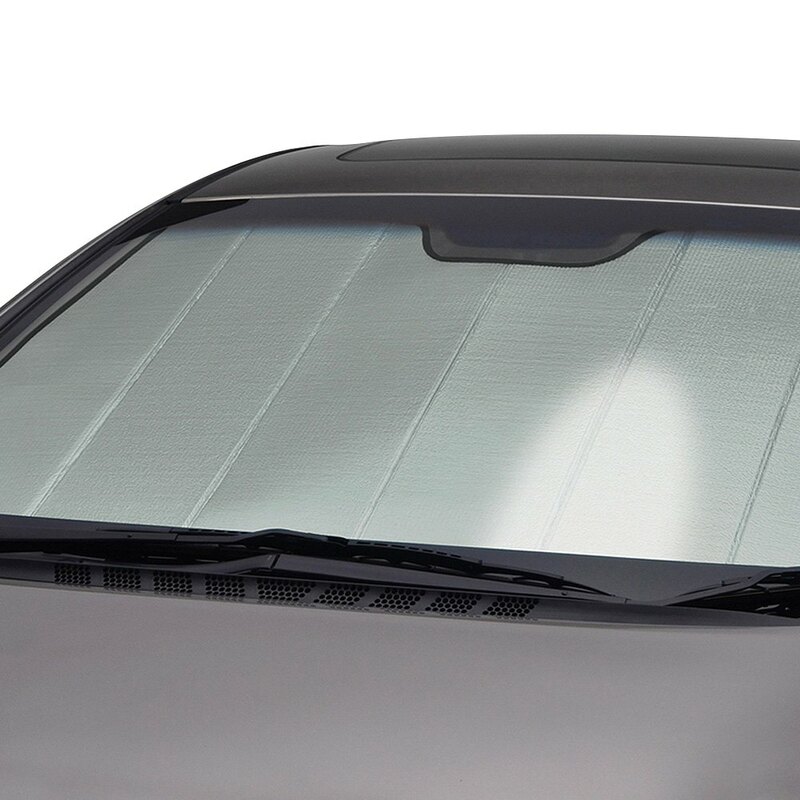 Most cars have tinted windows, and you can add tinting to the side and back windows, but federal law (and common sense, we hope) prohibits the windshield from being tinted enough to really keep out the sun. The best way, if you can’t park inside all day every day, is a shade to reflect the UV back and to insulate from the heat. The Custom Auto Shade starts with a highly reflective layer of aluminized Mylar, which can reflect both short-wave ultra-violet and long-wave infrared radiation. The multi-layer material will then supply additional insulation to keep heat from infiltrating the interior. The Custom Auto Shade is available in a custom-fit for your vehicle there are 2,800 patterns in their computer-based cutting machine. You can expect the temperature of your interior to remain as much as 40°F cooler when the Custom Auto Shade is used. It takes only a few seconds to unroll the and install it on the dash, and just as long to roll it up for stowage.